Smartwatches have gone from being an odd, futuristic novelty to a part of many everyday routines. 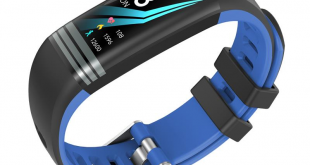 Apple, Samsung, Sony, and even Fitbit have made their names known in the rising smartwatch war. Another name worth knowing, though, is Pebble. Initially a project on Kickstarter, Pebble has a reputation for making functional, reasonably priced watches. 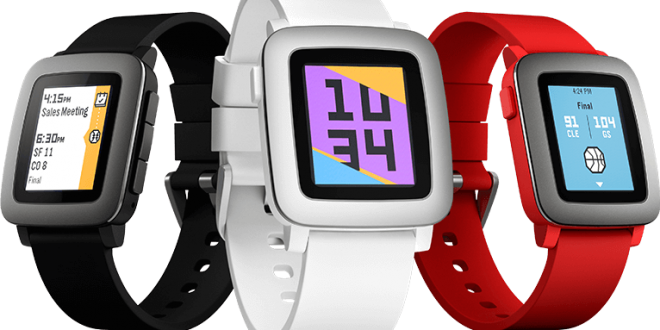 Their newest model, the Pebble Time (that also comes in a more “watch-like” fashion – the Pebble Time Round), is no different. It’s not very flashy, but it does its many jobs well, and I’ve come to really love the watch. First of all, let’s talk about how it looks. The normal Pebble Time (the one that I reviewed) is a simple square mounted on a colored strap. You can get it in black, red, or white. 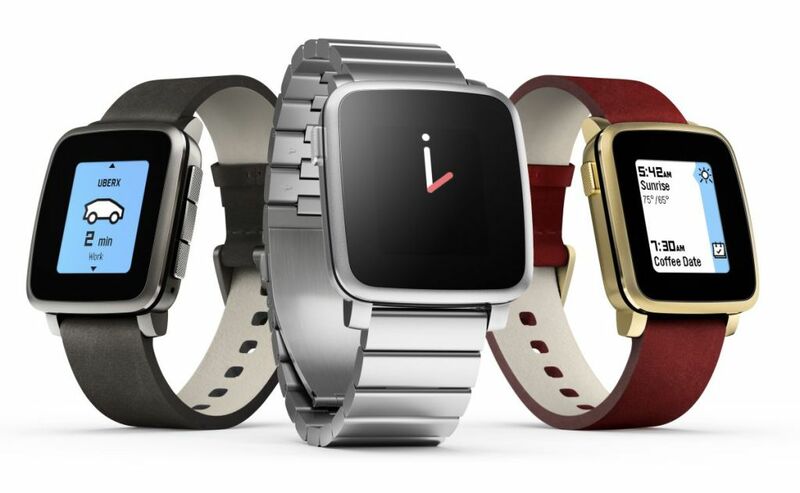 If you want to shell out some extra money, you can get a steel Pebble Time. If you’re looking for something that looks more like an actual watch, you can check out the Pebble Time Round. The Round looks great, but we’ll focus primarily on the original Pebble Time during this review. The display is what Pebble calls “color e-paper.” It doesn’t look or feel like a Kindle screen, which is what I immediately thought of. It is, though a low-powered display that’s always on and always easy on the eyes. It’s not a touch screen like the Apple Watch or the Fitbit Blaze, but it’s still an excellent display. The screen can display 64 colors (a bit less than the GameBoy Color, for reference). Below, you can see a picture of my Pebble Time. 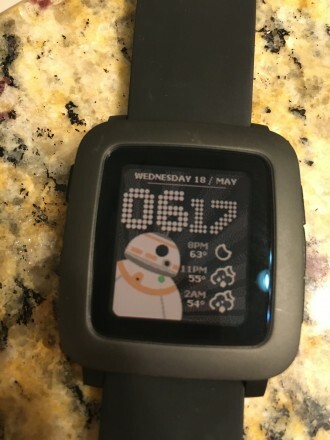 The watch face is called “BB8’s FACE” by a designer called wo0tzee. As you can see, it’s quite colorful without being bright. The date is shown at the top, followed by the time, and finally the day’s weather is shown right next to a friendly little image of BB8. BB8’s light will be green if the watch is connected to my phone via Bluetooth, and red if the connection is interrupted. There are other watch faces like it, including an R2D2 face, several Pokémon and Legend of Zelda faces, and an impressive amount of weather-based displays. The face you choose decides what information will be shown at all times. You can opt for a simple analog watch, or something more fancy and animated. The main “feature” of the Pebble Time is its timeline function. When synced to your calendar, the watch can easily show you what you have to do, what you’ve done recently, and what you’ll be doing for the next few days. The timeline can be seen in the first picture of this article. It’s absolutely fantastic, and many other smartwatches have copied it (like the Apple Watch). 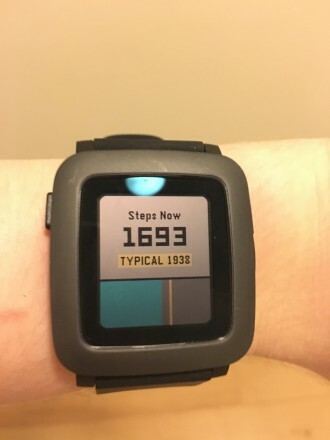 Other basic Pebble apps include the health app (the pedometer screen is shown below), a music control app, a notification manager, an alarm manager, a timer, and a stopwatch. The alarms come in great handy, as there’s no noisy beeping that accompanies them. Instead, your watch will just vibrate. This lets you set a wake-up alarm that won’t annoy others in the room, as well as do things like remind yourself when you need to leave a social gathering without causing a rude ring to reverberate throughout the room. The music control is great, too – if your phone is in your pocket or purse, you don’t have to take it out to change the track. Just use your watch! It’s a lot of fun, but it doesn’t come in handy as much as you’d think it does (unless you’re constantly listening to music on your phone). Some of the best apps, though, are third party applications – Smartwatch+ and MapsGPS are two of my favorites. They both require paid companion apps, but they’re well worth it. MapsGPS lets you get directions sent straight to your wrist, and Smartwatch+ takes the day-to-day functions of the Pebble Time to the next level. A simple but useful example is the Find my Phone feature, which forces your phone to beep when you’ve misplaced it. As someone who loses my phone in my own apartment a lot, this feature is invaluable. Notifications are the best part of the Pebble Watch – your text messages, calls, emails, and other notifications will pop up on your wrist! If you’re on Android, you can actually send and respond to texts (and so can iPhone users on the Verizon and AT&T networks), but others will have to wait. The animations are adorable, too. Text messages are accompanied with a little bottle buried in sand (message in a bottle – get it? ), while Snapchat notifications are joined by the Snapchat ghost icon. Clearing your notifications launches a shredder animation, and dismissing one will see the icon swept away by wind. They’re small touches, but they’re a lot of fun. You can also play games on the Pebble Time. Some are fun (MiniDungeon, Obelisk, and Pixel Miner are instant favorites of mine), but most are clones of smartphone games. If you’re in dire need of a distraction and can’t break out your phone, the games suffice. However, this is not a gaming device and should not be seen as such. As far as app support goes, Android users have a much better selection. I reviewed the device on an iPhone 6s, so I didn’t get to experience all of the apps and features available. Even so, just by browsing the Pebble app store (which is navigated on your phone), it’s clear that the lack of third party apps is the biggest problem that faces Pebble. 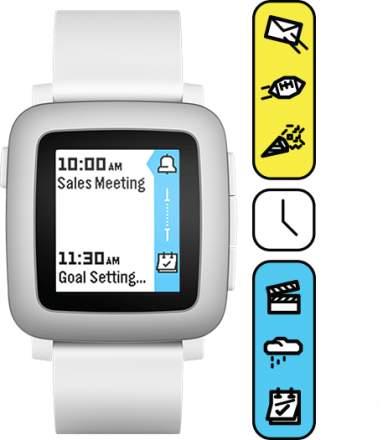 While Apple Watch has a ridiculous amount of support, Pebble is reliant largely on user-generated content. It’s bittersweet, really, because Pebble users are making some really awesome content. At the same time, though, seeing more apps like Uber and Pandora would be nice. I’d love to see dedicated apps for Facebook and Twitter, along with wider support for sending texts, emails, and starting calls. Battery life is fantastic. Pebble claims that the Time can go up to seven days on a single charge. I’ve gotten up to five and a half days on it, and most other reviews seem to corroborate my experience. Even though it’s not quite a week, it’s better battery life than any other device I use daily. The Pebble Time works very well – I love getting messages, directions, and other necessary communications on my wrist. While writing, reading, playing video games, or even driving, it’s incredible not to be so attached to a smartphone. The Pebble Time smartwatch will have you less glued to your phone, but it’s not a device that you’ll get glued to. It strikes a balance between a great piece of advanced tech and a practical wearable. If you’re looking for a smartwatch that’ll become a helpful, fun piece of your everyday life without spending a fortune, the Pebble Time is an excellent choice. What are your views on the Pebble Time? How do you feel about smartwatches in general? Do you have a favorite? Let us know in the comments below, and keep checking back with Load the Game for the latest in gaming and technology. Pebble Time doesn't have all the flash of the Apple Watch, but it does look great and have some awesome features that make it a perfectly viable smartwatch for pretty much everyone. Next What’s in Fallout 4’s Far Harbor DLC and is it worth it?